Families United Network is the players chosen charity of the year. 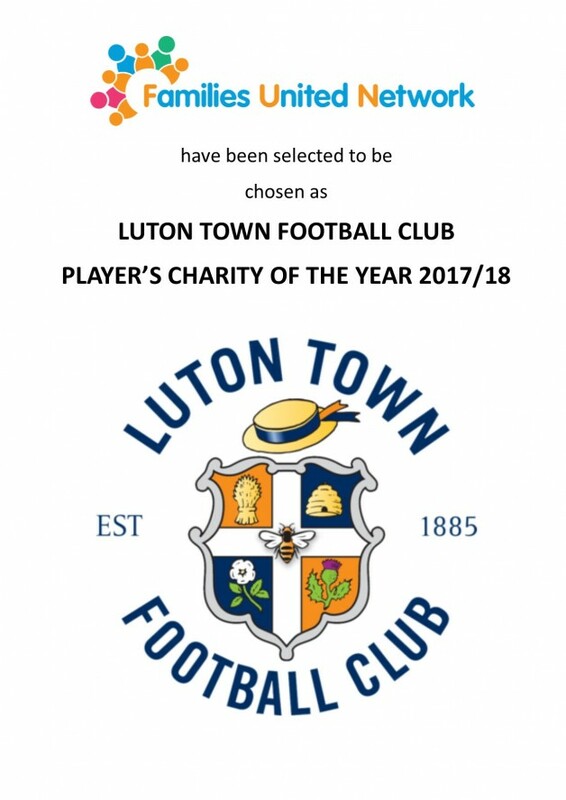 Everyone at FUN is proud to announce that we have been selected and chosen to be LTFC Players’ Charity of the Year 2017/18. On Tuesday 22nd September some of the first team came into the holiday club to meet FUN members, and it was a pleasure to see everyone getting so involved!! FUN is looking for willing volunteers to support us at the Luton home game against Cambridge on the 18th November to help with money pots at the beginning of the match. Everyone that volunteers will be able to stay and watch the game for FREE. If you would like more information contact Laura on 001582 420800.